The Atlanta Hawks are making moves to get there roster together before the start of training camp. 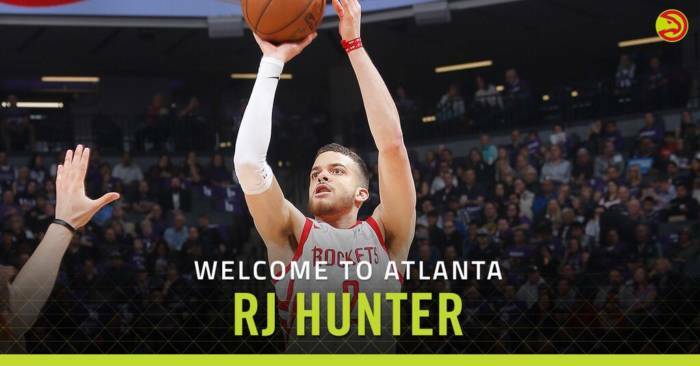 The Atlanta Hawks Basketball Club has signed guard R.J. Hunter, it was announced today. Last season, he appeared in five contests on a two-way contract for the Rockets, starting one, averaging 3.8 points and 1.0 rebounds in 9.0 minutes. In 45 games (28 starts) with the Rio Grande Valley Vipers of the NBA G League, he put up 20.4 points, 3.5 rebounds, 3.2 assists and 1.4 steals in 30.8 minutes (.443 FG%, .377 3FG%, .803 FT%).